Eye Care Directory offers up-to-date information about the optical eyeglasses stores and eye doctors for your vision needs in the Perpignan of Languedoc Roussillon. You may arrange an free eye exam, buy prescription eyeglasses, RX sunglasses or donate your old eyeglasses by using the contact information in the directory. It depends on the usage. If you like hunting, yellow safety glasses are very good choices because they can filter the blue light of the sky and offer you clear vision. Also, if your work in a dark light place, yellow safety glasses are good. So, when you buy safety glasses, you shall consult the sellers and ask recommendation according your requirements. The inner materials in the omega 3 will help moisture your eyes for a while. But it will not last longer. Usually it will be lasted for about several hours, not more than a day. If you have the dry eyes, you'd better eat the food with vitamin C to moisture the eyes. No, it is so dangerous. Please take this seriously. You might damage your eyes. I mean your eyes are much more important than a pair of slightly damaged contact lenses. I've torn my contact before and thought nothing of it until part of it ripped off and went to the back of my eye. It was a very small piece too so I had to spend literally hours sitting there in front of the mirror with a cotton bud and watering eyes trying to pry it out, I was lucky I did manage to get it out but sometimes it's requires medical uses to get them out. Trust me it isn't worth the pain and hassle, it'll be much simpler to just replace the contact. Is writing in the dark bad for my eyes? Yes, it is true that writing in the dark is bad for the eyes. If you do this for a long time, your eyes may get blurry at the vision. Then your eyes may get short sighted symptom. Your eye nerves will be damaged if you write often in the dark environment. You'd better change such habit. No, it would not cause that, but it can cause computer vision syndrome (CVS). It is a temporary eye condition for those people who use computer for a prolonged period. The main symptoms of CVS are blurred vision, headache and fatigue of eye muscle. And the long-term influence of it is causing eye problems, such as myopia. 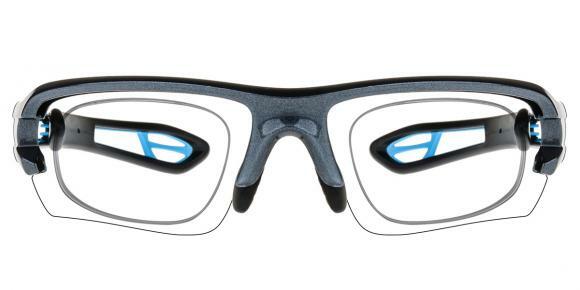 Hence, you can wear computer glasses that are prescription lenses to relieve computer vision syndrome. At the same time, you should take frequent breaks when you are sitting in front of computer screen during the day. Can pink eye cause sore throat? Ok, it seems that you are worried about that situation. So, generally speaking, pink eyes could be accompanied by some problems with your nose and throat, for five sense organs are interconnected you know? What makes sense is to examine your health and take actions against them. Also, you must pay attention to your diet and rest, make sure you don't communicate your pink eye to others. 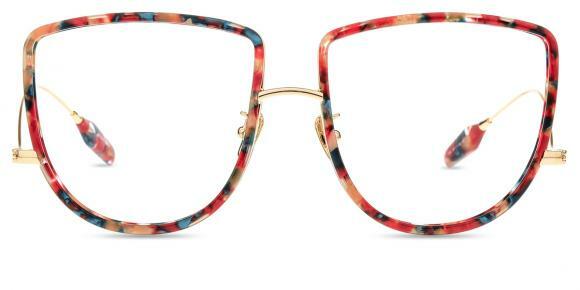 Do cat eye sunglasses look good on heart shaped faces? Well, you don't have to worry about that, what you need to do is to live out what you want in your life. You are not born to satisfy others. You are supposed to do whatever that makes you happy. Anyway, cat eye glasses suits small face, whatever the shape of the face. If you have a small face, it will be nice to wear cat eye glasses. If you are still not convinced, you can go to a glasses store to try them on. Is avocado oil good for dark circles under eyes? It seems that I should introduce the avocado oil to you in the first place. As a matter of fact, it is a vitamin rich essential oil which has got an awful of cosmetic functions. It helps to keep your face moist and plastic. Because it contains a lot of vitamin A as well as vitamin E, which is helpful in eliminating dark circles. And what's more, there are simply few side effects, so why not give it a try. Can sun cause yellow eyes? Actually, it is not. Dazzling sunlight sometimes makes people be sensitive to light and a feeling of irritation if eyes. Yellow in your eyes may be just because of the color of sunshine. So you do not worry about that. However, if your yellow eyes exist constantly, you should go to see a doctor to determine the real reasons. Juandice may be one cause of yellow eyes. Why does eyeliner make my eyes water? Some people just have more sensitive eyes than others. What types of eyeliner do you use? if you're using pencil type, then you need to wear a creamier eyeliner to have a try.Besides, there is a eyeliner at walmart called black radiance i use their cream eyeliner and my eyes don't water and it lasts a long time like 5 hours. if you're using the creamier eyeliner, maybe you can try "rimmel london" which makes really great pencil liners that aren't cheaply made. if both of them don't work, then maybe you are allergic to eyeliner. in this situation, you should give up eyeliner in order to keep your eyes healthy rather than make them look bigger.